I had the chance to participate in various meetings with the delegation that accompanied President Obama [to Cuba] and hear him speak three times; and now I feel a need to share my interpretation of what he said, and also what he didn’t say— since in politics what is left out is often as important as what is said. • This normalization process was started during the lifetimes of the historic leadership of the Revolution, and has been conducted by leaders of that same generation. • It implied recognition for the institutional legitimacy of Cuba’s revolution, recognition denied to our Liberating Army in 1898, and also to the Rebel Army in 1959 (although, yes, accorded to the dictatorships of Gerardo Machado and Fulgencio Batista). • It included explicit recognition of the Revolution’s accomplishments, at least in education and health (the two that were mentioned). • It included explicit recognition of Cuban assistance offered in solidarity to other peoples of the world, and its contribution to such noble causes as global health and the elimination of apartheid in Africa. 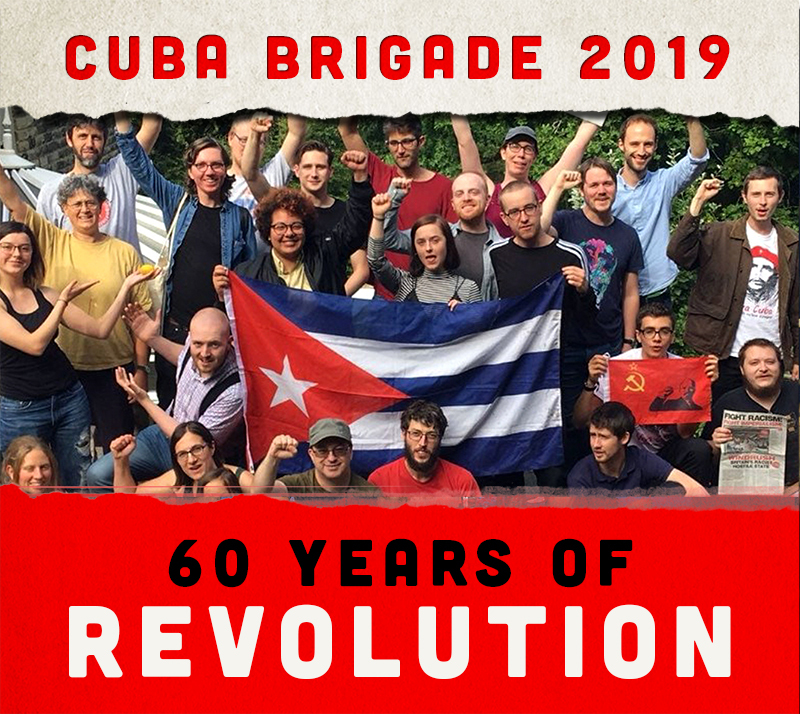 • It included explicit acceptance of the fact that decisions about changes and socioeconomic models in Cuba belong exclusively to Cubans, that we have (and have earned) the right to organize our society differently from the way others do. • It implied a declaration to abandon the military and subversive option, as well as the intent to abandon coercion, as instruments of US policy towards Cuba. • It expressly acknowledged the failure of policies hostile to Cuba implemented by preceding administrations, which implies (although not declared as such) recognition for the conscious resistance offered by the Cuban people, since hostile policies only fail in the face of tenacious resistance. • It recognized the suffering the blockade has caused the Cuban people. • This process did not emerge from concessions by Cuba of a single one of our principles; or from backing off on demands to end the blockade and return the illegally occupied territory in Guantánamo. • It included public acknowledgment that the United States was isolated in Latin America and the world because of its policy towards Cuba. I don’t believe that any reasonable, informed person in today’s world could interpret this normalization process as anything but a victory for Cuba in its historic differendum with the United States. Those who defend the hypothesis of perverse conspiracy see President Obama’s words as false promises or subtle deception, at the service of a plan conceived for us to open our doors to US capital and the influence of its mass media; allow a privileged economic sector to expand in Cuba, one that with time would be transformed into the social base for the restoration of capitalism and renunciation of national sovereignty. That would be the first step towards returning Cuba to a country of rich and poor, dictators and gangsters— such as we had in the 1950s. Of course neither President Obama, nor today’s generations of North Americans of good will (and there are many) are to blame, as individuals, for the first stages of this historical journey. But also, undeniably, the history is there and it conditions what they can do and the way we interpret what they do. History’s processes are much longer than a single human lifetime, and events occurring many decades ago influence our options now, because they influence collective attitudes that exist objectively and relatively independent of leaders’ ideas and intentions. Even distancing President Obama from the aggressive and immoral policies of previous administrations—those that organized invasions, protected terrorists, fomented assassinations of Cuban leaders and implemented intentions to starve the Cuban people into submission—even establishing this distinction, it can’t be forgotten that Obama alone is not the policy-making class in the United States. They made it very clear that the main direction US relations with Cuba will take will be economic, and within the economic arena, the main strategy will be to engage with and support the non-state sector. • They see it as the main component of the economy; we see it as a complement to its main component, the socialist state enterprise. As a matter of fact, today the non-state sector, although providing nearly 30% of jobs, contributes less that 12% of the country’s GDP, an indication of its limitations in terms of value added. • They pose [the non-state sector] as equivalent to “innovation”; we see it as a sector with relatively low value added. Innovation is found in high tech and science, and their links with the socialist state enterprise. Cubans’ innovative spirit has been expressed over these past few years in many other ways, such as the development of biotechnology, its medicines and vaccines; massive training in new information technologies at the University of Informatics Sciences; urban agriculture; the energy revolution; and many other achievements during the Special Period [of dramatic economic crisis], none of which were mentioned in our visitors’ speeches. • They see private initiative as “empowering the people”; we see it as “empowering one part” of the people, and a relatively small part. The people’s role as protagonists is found in the state enterprises, and in our large publicly-funded sector (including health, education, sports and public safety), where the real work is done for all the people and where most of the wealth is created. We can’t accept the implicit message that the non-state sector is equivalent to “the Cuban people”. This wasn’t stated so brutally, but is quite clearly inferred from the discourse. • They tacitly separate the concept of “initiative” from state ownership. We see in the state sector our main opportunities for productive initiatives. That’s how I explained it in the Business Forum, using the example of the Molecular Immunology Center where I work, which I described as “a company with 11 million stockholders”. • They see the non-state sector as a source of social development; we see it as a double-edged sword, also a source of social inequalities (of which we already see evidence in such things as the recent debates on food prices), inequalities that will have to be controlled by fiscal policies that reflect our values. • They believe in the driving force of competition (although this concept has been questioned even by serious ideologues of capitalist economies). We are familiar with its rapacious nature, eroding social cohesion, and we believe more in the dynamic, the driving force, that emerges from programs that consider the whole nation. • They believe that the market efficiently distributes investments in response to demand; we believe the market doesn’t respond to real demand, but rather to “demand by those with money in their pockets”, and deepens social inequalities. • They base their case on the history of corporate development in the United States, a country whose economy took off in the 19th century, under global economic conditions unrepeatable today. We know that underdeveloped nations with dependent economies face different realities, especially in the 21st century; they won’t develop their economies, or their science and technology, based on small private, competitive initiatives, or by trying to reproduce the path of today’s industrialized countries 300 years later. That would be a recipe for perpetuating underdevelopment and dependence, with an economy designed as an appendage and complement to the US economy, something which Cubans already saw in the 19th century when such dependence submerged us in a single-crop economy and closed the door to industrialization. Understanding this comes from looking at history, and thus, history is something we can’t forget. Taking the road to civilized co-existence “with our differences” means the whole Cuban people need to arrive at a deep understanding of those differences, to keep specific and apparently rational decisions on tactical economic questions from leading to strategic errors; and worse still, allowing others to push us towards such errors, by virtue of what is said and what is left unsaid. We knew how to avoid such errors at the beginning of the Special Period, when the European socialist camp disappeared and the world was awash in the neoliberal ideology of the nineties. We will know how to do this even better now. Civilized co-existence certainly distances us from the risk and barbarity of war (both military and economic), but it doesn’t exonerate us from battling in the field of ideas. We need to win this battle of ideas in order to win the economic battle. On these fronts the Cubans’ 21st century will be decided. The battle of ideas consists of consolidating our thinking and consensus about where we want to go and in concrete terms, how to get there. Capitalism’s essential belief, even among those who sincerely think so, is that material prosperity is constructed on the basis of private property and competition. Ours is that creativity is motivated by ideals of social equity and solidarity among people, including future generations. Our concept of society represents the future…even if the future takes some time in coming, conditioned objectively by the present. It still represents the future for which we have to struggle. Private property and competition represent the past, and although this past still necessarily exists within the present, it continues to be the past. You always have to see the concepts behind the words spoken, and the reasons why other words are left unspoken. The battle for our ideal of how human beings should live together will be in the hands of today’s generations of young Cubans, who in their time will confront challenges different from the ones faced by 20th-century revolutionaries, but all the same great, transcendental and also more complex. Analyzing the these challenges’ complexities, I have to confess I’d like to enlist once again in the Union of Communist Youth, whose membership card (No. 7784 of 1963) sits on the desk in front of me. I’m still a communist, but I’ve had to accept that I’m no longer “young.” Yet what I can do is share with young people an analysis of what is being said today and what has been left unsaid, and together with them construct the intellectual tools we need for the battles ahead.